I am happy to be part of this tour. There is even a blog inspired by the book where the author, Joanne Demaio, has shared her life while writing it and continues to share with her followers. I had heard a lot about this book around the blogosphere so I was thrilled when my copy of the book arrived. I can’t wait to share it and my thoughts with you!!! Would you leave everything behind to know who you are? That’s exactly what Sara Beth Riley does, she leaves her friend alone in New York while she goes off to find herself. Her best friend Rachel plans a Girl’s Weekend to celebrate their 40th birthdays and Sara Beth is there one minute and gone the next. Sara Beth’s journey to find who she really is or change into the person she thinks she needs to be leaves a lot of collateral damage touching both her best friend and her own family. It sets off a summer from Manhattan to a cottage by the sea, a carriage house to a dream house. How much will her decision cost Sara Beth? Her best friend, her husband, her dreams….plus can she come to grips with what is already gone? This story took this reader on quite an emotional roller coaster and I have to be very careful with this review not to give the story away. I went from thinking Sara Beth was a selfish B****, to come to a bit of an understanding of what she was going through. I felt so sorry for Rachel being left in New York wondering if her friend was dead or alive. I wanted to strangle Sara Beth for putting her through that. But Rachel meets someone wonderful as she is surviving the mess Sara Beth made and turns lemons into lemonade. It is extremely easy to identify with both Sara Beth and Rachel. They are both complex characters dealing with monumental issues, each handling them very differently. Sara Beth’s way was much more extreme, wavering between mid-life crisis and scary mental breakdown. The story was a true test of love for both characters, the choice to move on or run away. Self love, mother’s love, second chance at love, true love. The bonds made with best friends, spouses, our children, our family, the bonds that bend but don’t break. DeMaio has written a truly endearing story that will leave us all star gazing and wanting to be kissed in the moonlight! 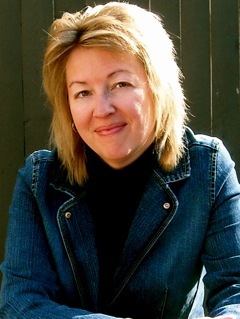 Joanne DeMaio is an author, exploring through her writing the journey to living a fulfilling life. 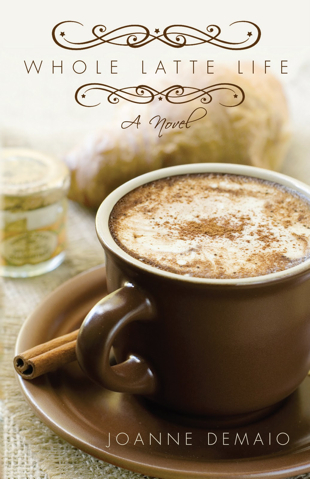 Her debut novel, WHOLE LATTE LIFE, was published in March 2012. In addition, her music essays have appeared in literary journals, celebrating her passion for song, in print. Joanne lives with her family in Connecticut, where the coffee is always brewing, either in her country kitchen or a favorite coffee shop, and the talk is ever flowing over a fresh cup of java. and I will add my gently read copy so we have 2 to giveaway! Two more bonus entries if you follow Whole Latte Life. Love the book cover. I love a good emotional read. This sounds so interesting! Im putting it on my tbr list. Hi Lori, I really enjoyed your thoughts on my novel, especially that you connected in some way with the characters. That is something I strive for in my writing, to make that connection with readers, bringing them right into the story. Thanks so much for taking the time to review Whole Latte Life. I love emotional roller coasters- in books! This one is already on my list so I am very glad for this giveaway!